TAKE5 gives you an update on the latest Meetings, Incentives and Business Travel related news. It contains short and to the point information on venues, people, happenings, lifestyle and general news that cannot wait to be told! BBT Online guarantees you 15 new ideas in just 3 minutes. Enjoy our 45th edition. All of our take5 articles are advertorial free. It gives a unique insight in the institutions of the EU, particularly the Parliament. You can see how the union of 27 states has enriched Brussels life. The Advito Industry Forecast 2012 predicts an increase in business travel and as a direct result an increase in the cost of business travel. Airline travel cost is predicted to increase between 3 and 5 %, a direct result of the consolidation of airline companies and the increased demand for business travel. Hotel rates are expected to increase with 2 to 6% but in larger important cities such as New York this can be much higher. Meetings are on the increase, price increases are a direct result. Train travel is increasing in popularity in Europe, a trend continuing in 2012 and good for an estimated 5% rate increase. London and the 2012 Olympics make that the rates in this city have gone skyhigh. There is also increased pressure on hotels everywhere to make Wifi available for free to travelers. 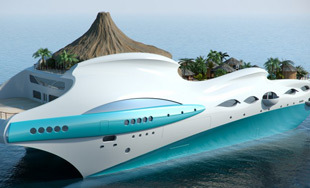 The “Island Yacht” is the ultimate in recreation: a yacht decorated as a private island in the Pacific… how decadent can you get? 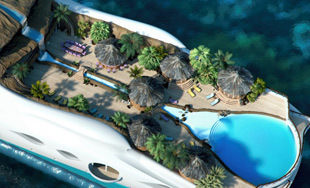 The design is inspired by tropical islands, with huts, a pool and to top of that, a whole volcano that is sure not to erupt. 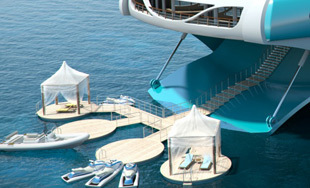 Since this is a yacht, it comes packed with special VIP rooms, arcades, gym, lounges, spas and even a helipad. 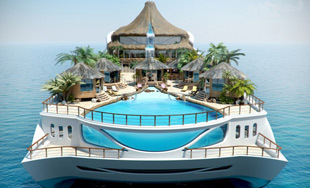 It is for yachts like this that the term dreamboat was invented! EMIF is no more! So what now …? The decision has been made; Artexis has decided not to organize the EMIF fair anymore. The Promo Factory will now be integrated in a larger concept “Business & Meeting solutions” which will take place in Brussels Expo on March 21 & 22- 2012… maybe not exactly what the MICE community is looking for. BTExpo is also jumping on the MICE bandwagon, but not with too much success until now. What we do need is a proper, dedicated trade fair for the professionals, the MICE professionals, with all due respect to our friends the travel agents. EMIF, we have all loved to hate it. Regardless of how it had slowly disintegrated over the last few years, EMIF did give the MICE trade in our country a platform where to meet, network and discover new venues and trends. ... for the first time in over 25 years Belgium will not have its own professional trade fair anymore… or do we? Cuba is a great destination and the famtrip of Glenaki in partnership with BBT Online in September of several Belgian Incentive houses was a great success. One of the participants – Michel Devis of Key group - put a presentation together of his best pictures and typical music…. Take 5 and discover Cuba, click here. We keep the Destination Report on Cuba for our next edition, in this edition we cover Slovenia. See our next article. Karina Schuil, owner of SPARKZ corporate events, needs no introduction in Holland. She was a participant in a recent fam trip of Dutch and Belgian incentive professionals to Slovenia, as she calls it, an unexplored destination, with unexpected treasures. Slovenia, she confesses to have known little or nothing about before discovering it this summer. 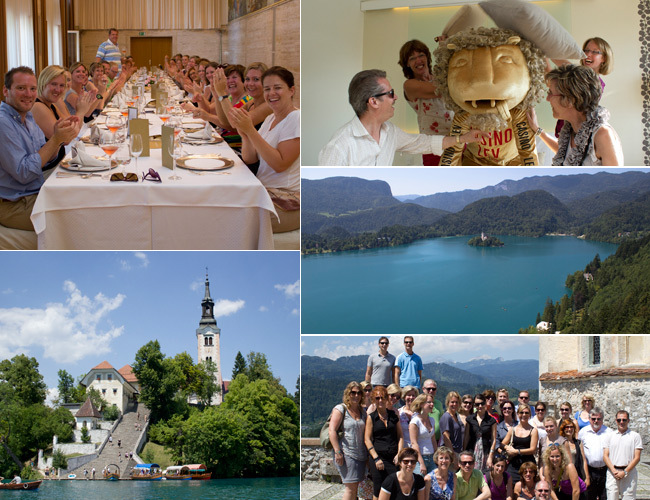 The trip was organised by organized by Intours DMC, the Slovenian Convention Bureau and Ria Mooijaart & Partners. Read and discover this fairly unknown destination with enormous potential: click here for more! Feedback from more than 5,500 hosted buyers, attendees and exhibitors who attended the debut of IMEX America has confirmed that the Las Vegas-based show lived up to its promised goal of delivering high quality business, networking and professional education opportunities. Speaking at the show's closing press briefing at The Venetian, IMEX group chairman Ray Bloom expressed his delight that the first show had received such a widespread positive reaction, saying, "We have successfully delivered a new, collaborative business model, which is not a US trade show in Las Vegas but a truly global marketplace in America". 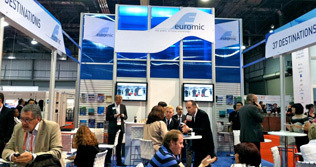 euromic brought a group of hosted buyers from Belgium and France to this inaugural edition. Dominique Plaissetty, Managing Director of Alterego, a French Incentive Travel house, reports. Click here to read his view on the fair, together with the comment of 3 Belgian Incentive Agents, Elie Lores Blanes, Christophe De Stoop and Dries Jacobus. This December BBT Online also celebrates its 10th anniversary, a wealth of information and experience and never ending innovation. We look forward to inform you on the latest MICE news for many more years to come! The French and good cooking go hand in hand, therefore the Wonder Bus Cook’in in France is a bit of a daring concept. An old doubledecker bus has been transformed in a moving eatery and will serve a wild menu at your office, at the beach, wherever you want it! Upstairs is the bistrot with fresh, original and tasty preparations, downstairs the kitchen… a fun concept for a different meal! For those who think we are in tourism or travel: you need to change your view! We are in the business of creating meaningful and inspiring meetings and events that meet specific business objectives such as increasing sales, building brand launching a new product or service, or enhancing market positioning. But even our meetings industry is changing. 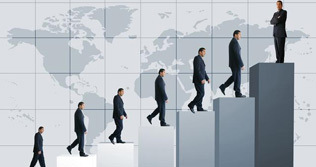 In an ever-changing global business world, the most prized asset remains excellent performance. As relationships change with the influence of technology and globalization, a new form of organizational management in the meetings industry is required. Once more our journalist Viviane Vogels attended (October 4 – 6) the by TTG Asia organized professional trade fair for Incentive Travel & Conventions, Meetings Asia and Corporate Travel World Asia – Pacific in Bangkok. What was new? 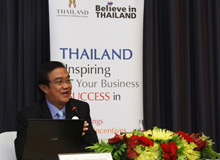 An increase of number of exhibitors, more than 490 buyers and corporate travel managers attending and this in a room of 5.000m² with new features such as sponsored hosted delegates lounge and the much appreciated fast track immigration clearance at Suvarnabhumi Airport for all hosted delegates and hosted press. Some important announcements were also made towards the future: next year’s edition will – contrary to the many rumors- remain in Bangkok. A luxury travel component will be added to IT&CMA as from 2012, the year the show celebrates its 20th anniversary. This will be the first time a luxury travel show comes to Asia. Also new will be IT&CM India, which will be inaugurated next year in New Delhi from August 21 to 24 and will also incorporate a luxury travel component. Lipstick & Bubbles @ Bloom! Trust Hotel Bloom! to launch once again an original and successful formula in SmoodS living room, kitchen & music. Lipstick & Bubbles is aimed at the young female customers. Women get pampered and can enjoy some bubbles and great food every Wednesday evening. SmoodS has also launched its new food concept : sharing is the name of the game! Make a choice of several starters and main courses and share them around. Do not miss the cocktail desserts, definitely original! • November, 8. Attend SITE’s Belgium Meet & Lunch: Group dynamics by infotainment. Click here for more info. • MPI has submitted a 12-page report on Corporate Social Responsibility. For to read the full report, click here. • MSC cruises teams up with Dr Dukan (of the diet fame) to organize dieting cruises this winter. 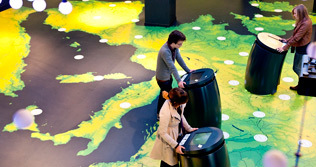 • Carlson Wagonlit Travel (CWT) is the first travel organisation in the Benelux to be certified climate-neutral. This was partly achieved by allowing employees the opportunity to work more frequently from home. 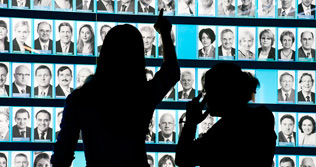 The target is that in 2012, 10% of CWT personnel will work on average 3 days per week from home in Belgium and Holland. • EFAPCO announces a new member: the Czech Republic. • BHA (Brussels Hotel Association) organized the first competition to find the best Club Sandwich in Brussels. A professional jury tasted its way through a variety of sandwiches and unanimously selected the Metropole hotel as the winning sandwich, followed by the Chateau du Lac and Dolce La Hulpe. • In November this luxury 5-star hotel will opens its door in Amsterdam, http://www.conservatoriumhotel.com/ The hotel features 128 rooms. The location is in the heart of the city, next to the Stedelijk Museum, the Van Gogh Museum and Rijksmuseum and 20 minutes away from Schiphol International Airport. • In August Madrid airport was the one with the most delays in Europe with an average of 19.6 minutes. Madrid is followed closely by Palma de Mallorca, Charles de Gaulle, Ibiza and Lisbon. • Germany has decided to lower the controversial tax on passengers by 5,5% next year to offset the European dealing in carbon emission rights. • Marriott Ghent will celebrate its 5th anniversary in 2012 with a new General Manager. Karen Verbiest, who has been with the hotel since the pre-opening stages, is taking over from Paul Suy. • Paul Suy is taking on a regional position as Senior Vice President European Operations with the Interstate Hotels & Resorts group, owners of Marriott Ghent and will maintain his base in Ghent. • Alexandra de Merode has joined the team of the Incentive Agency ‘Master Events’. • Peter van Avermaet left Yotran to join Event Masters as MICE coordinator. • Pierre-Henri Gourgeon, CEO of Air France/KLM has resigned his position and Alexandre de Juniac, former assistant of Christine Lagarde, has been suggested as the new Air France topman. Jean-Cyril Spinetta and Leo van Wijk have the strategic management of the group until 2013 when the AF/KLM holding is definite. • And the winner of the wonderful weekend in Spa-Francorchamps offered by Hotel de la Source, http://www.bbtonline.eu/newsletter/source_092011/index3.html is Fabienne Jacquet of Axa Belgium. Congratulations. For those who participated, the answer was 88 C.
• Thanks for a very lively and informative newsletter, very interesting and the clips are good too. A role model for all. • Laughing is good for you! Carlsberg does it again, this time in Brussels. Arguably the scariest moment for some of the innocent moviegoers! Click here.